Home > Dog Health > Prevention > Cheap Pet Meds: Is It Better To Buy Online? Being a responsible pet owner means providing regular preventative medications in addition to those that treat health conditions. Raising a healthy pet can also be expensive which leads us to search for alternatives. There are several places you can buy online to save money, but you should shop with caution. Why Buy Pet Meds Online? Unlike veterinary clinics that add markup to pet medications, online resources can purchase items in large quantities at wholesale prices. Purchasing in bulk allows them to pass their savings on to consumers. It is important to ensure that savings are being passed because of bulk purchasing and not because of medications bought overseas or from unreputable third-party sellers (which we’ll get into more below). In addition to cost savings, shopping online can save you a trip to the store every time you are out of medication, and you can get reminders for when it’s time to refill. The best solution for finding a reputable distributor online is to ask your veterinarian who they recommend. Their advice is generally trusted because they work with these distributors on a regular basis. For example, my vet always approves my prescriptions bought through PetCareRX, so I feel good buying there for 10+ years. If your veterinarian does not have any suggestions for online retailers, there are some things to look for when spotting a good distributor in addition to PetCareRX. Always Require A Prescription – Providing the prescriptions may seem like an inconvenience, but this requirement exists to ensure your pet’s safety. If the administration of meds is incorrect, they can cause significant health effects. VIPPS Approval – A reputable distributor will have various certifications one of which may be from the Veterinary Verified Internet Pharmacy Practice Sites (or VIPPS) which means they meet the standards of the National Association of Boards of Pharmacy. Legit Script Approved – Legitscript.com is another verification service that screens for both safety and legality. This service also provides consumers with information on the distributor including their location, where they are licensed to ship to and more. Secure Website – Your financial security and safety are always a concern. So only shop at pharmacies where transactions are secured by VeriSign. Pharmacy Guarantee – PetCareRX guarantees that its medications are never expired or foreign. A professionally licensed pharmacist always supervises orders. Expect reimbursement for any prescription that does not perform successfully. Prominent Contact Information – An online reseller should have an easy to find a phone number and email address (as well as customer service hours). Bonus if they offer live chat. Multiple Payment Methods – Including VISA, AMEX, MasterCard and Discover card and sometimes PayPal. Specialty Shipping – Temperature controlled shipping for medications that require being refrigerated. These are at a minimum the standards a retailer should have before considering purchasing medications for your pet. PetCareRX has all the above and thus why we stand by them (and use them for our pets). Watch this video to see how shopping at PetCareRX works and all the additional resources they have including vet finder and more. What Are Popular Purchased Pet Meds Online? Popular meds to buy online are usually preventative, designed to enhance the overall wellness of your pet. When should you go directly to your vet and skip the savings? Medications to treat life-threatening illnesses including cancer treatments should never be trusted to an online purchase. Purchasing pet medications sourced from overseas is a poor decision because it can have many unexpected complications. No FDA Approval – The FDA protects consumers by monitoring the quality of ingredients in medications. While other countries have their own monitoring processes, the United States has one of the strictest sets of regulations. No Veterinary Approval – Without a prescription required, pet owners can get their hands on any number of potentially harmful medications. Cross-Contamination – Cross-contamination during production can occur from mixing in other pills, medicine dilution or even the wrong medication in the package. Generic Medication Solutions – Non-recognized generic medications can have any number of ill health effects and can even cause permanent damage or even death. Scams – There is no easy method for resolution of lost money or the product that never ships. It will also be challenging to seek reparations if fake medication is received. Some websites will sell bad products. In addition to the red-flags from overseas sellers, there are five reasons to avoid shady third-party retailers. Geographically Targeted Medications – Drugs engineered to protect against specific strains of a disease that are local to one area are not guaranteed to be effective against a variant of the disease in another location. Recalled Products Are Often Still Carried Online – Reputable companies and veterinarians will immediately pull recalled products off their shelves, whereas less reputable companies may keep selling them to make a profit. Expired Medications – In certain medications, once an expiration date passes, it begins to break down and not only is it no longer effective, but it can also cause serious side effects. Diluted Medications – It results in your pet not getting the appropriate dosage to control its medical condition. In certain circumstances, not receiving enough medication could be fatal. Counterfeit Medications – These drugs are sold under one name or dose but vary in some way. It could vary due to the wrong active ingredient, not enough active ingredient(s), too much of the active ingredient or no active ingredient at all. Not all medications you will need to purchase for your pet will be prescription medications. Despite being over the counter medications, however, it is just as important to follow the same purchasing protocol. Just because a medication is non-prescription does not mean that it cannot be harmful if purchased out of date, in diluted form or when made with inferior ingredients. Keep an Eye Out For Fake Deals – While online can usually pass through savings, if a deal seems too good to be true, then it often is. Non-prescription medications can be as expensive, if not more expensive than prescription medications. Read The Labels First – Check the sell-by date on medications as soon as you receive them. Avoid Tampered Packaging – If the medication has a broken seal, return the product immediately and request a refund. The incorrect medication can mean problems for your pet including vomiting and potentially fatal reactions. When it comes to non-prescription medications, there is a greater product selection. This wide range can often overwhelm dog owners. So is it okay to go generic? Online vendors almost always have their own name brand of product. But how do you know if it’s any good? Ingredients – Review the ingredient list in detail. Be sure to compare ingredients and the quantity of each component. It doesn’t have to be apples to apples, but if you notice a discrepancy (particularly in the amount of the active ingredient), you should check with your vet before administering. Dosage Frequency – Generic medications often contain lower levels of active ingredients and thus may require more applications (which is why it costs less as you are getting less for your money). Is Purchasing Cheap Pet Meds Online Right For You? Purchasing cheap pet meds online should be taken seriously, and it is not always the right decision for everyone. Always consult your veterinarian first. If your vet is okay with it, we highly recommend PetCareRX. They meet every criterion (discussed above) of a reputable online pet medication company. In some cases, certain drugs humans take are okay for pets. To learn more, learn which over the counter medications are okay for dogs. CBD oil is also becoming a popular natural remedy to treat arthritis, anxiety and other health issues. What pet medications are you considering buying online? The amount of privilege noted in the article and comments is flippin’ staggering! NO ONE wants to put their family members – furry or otherwise – at risk from less-than-regulated overseas meds. That being said, I’d have had to put down 3 dogs (and likely a kid too) if they weren’t available. Job losses and medical emergency meant bankruptcy, yet on paper we still earn *just* enough to disqualify us from any help. No one wants our dogs and our area uses kill shelters so we’ll keep our furry family members, thanks… We eat cheaply on cabbage, lentils rice ,and the cheapest bulk chicken. We have NO frills nor savings nor insurance, yet according to every single tone deaf response I should starve my human kids to buy in country pet meds? They’re meds are Rx only in USA and vet visits out of the question – we have no room in the budget and no credit. If I buy from overseas at least the dogs can be somewhat comfortable. If we did thing’s y’alls way they’d have to be put down. The meds may not be perfect, but I’ll gamble with my 95%+ success using overseas meds vs the alternative of their deaths. Our poverty came later after years into responsible pet ownership, but our country decided early on that losers are OK to throw away. Think hard, what would you do when all the resources are gone? Stay away from United Pet World. They source their canine products overseas and I was advised specifically from Bayer Animal Health’s technical support line to not purchase their Bayer branded products from United Pet World as they lack the proper efficacy and safety considerations for the North American/US market. The lure of saving on pet medications in these tight financial times is huge, at least where I live. People want to do what is best for their pets, of course, but a lot of times pet medications get so expensive that it becomes a huge burden to try and keep up. In the long run, buying online pet medications from a disreputable provider is clearly not worth the risk. I never even thought about what would happen if an online pet pharmacy shipped the wrong product or a product from a different region, much less what might happen if they did not send the medication at all. This article clearly alerted me to the real dangers that are out there, and I know now that I will never try to cut those corners. I like the advice at the end about finding a reputable pet pharmacy, and I think it is worth looking into it to see whether the savings are going to be significant. But honestly, if it comes down to filling my prescription at a brick-and-mortar chain or local pharmacy and those are not too much more money, I at least KNOW those are secure. It is very smart to use caution when buy pet medications online. I completely understand your concern. Personally, I have had tremendous success with PetCareRX. Overall savings have been close to 30-40%. Everything that I have ordered has arrived as I expected. You mention a worry about getting the wrong product, but if that were to happen you would know because the packages are sealed from the manufacturer. At that point it would be an easy return. Does anyone else have positive (or negative) experiences with PetCareRX or other online pet medication suppliers? Did you know that you can get pet medications online for just about any animal that you have as a pet, even fish? I've never thought of fish needing medicine. When I thought about cheap pet meds, I mainly thought of just dogs and cats, and I'm sure if I'd thought about it a little more deeply I might have come up with gerbils and hamsters maybe and rabbits and ferrets maybe. But did you now you can get pet medications for horses, livestock, and even fish? When I saw that, I had to figure out what medications fish are taking these days, lol. So when I looked there was fish food and fish antibiotics. I guess the whole antibiotics thing makes sense for them, living in the murky water and all. I would guess that they could contract many different types of infections. However, I just never heard of something like that. One other thing that I'm glad of is that most of these places are offering free shipping if you purchase a certain amount of products, so it's best to wait until you need a few things if you can. I have a female English Cocker Spaniel that is getting a bit older and I have noted that in the last year or so, we have spent more on her medication and veterinary visits than we had for her previous eight years combined. I will not get into the fine details of what we have had to do for her, but I will say that the vet has been recommending more and more preventative care and medications than in the past and the costs are mounting on us. That being said, we have started looking elsewhere for finding the medications that the vet has recommended. We used to always buy straight from the veterinary clinic when required to, but now we are looking for other provider. It is good to see that there are some viable alternatives online now that we can try to make these purchases from. However, I am glad I read this article so that I know to be very picky about who I actually make my purchases from. It seems like there are a lot of good ones and bad ones out there. I think pet meds are one of the most overlooked expenses when families are trying to determine if they can afford the cost of a dog. While a number of people may take in free pets, thinking that food will be the only expense, there are many, many expenses associated with caring for a dog and medication is a major expense. Yet, people don't realize that meds are a necessity or even that dogs need medication to protect them from worms, ticks, fleas, and more. In other words, this isn't something a dog owner should skimp on. There are a number of places to find cheap pet meds, but that doesn't mean that these are safe sources. Many of these companies are selling fake medication that will not protect your pet and could even make your pet seriously ill. You need to find a legitimate way to save money. Whether you speak to your vet about better prices, purchase medication one month at a time, or look for community programs, you need to do what's right and safe for your dog. If you can't do this, you need to find someone who will take care of your pet and can afford to provide needed medication. An ongoing expense that comes with owning a dog is medication. While your dog may not have any illnesses, you still need to purchase medicine to protect him from fleas, ticks, and worms. This isn't an expense that is solely for the summer months either. 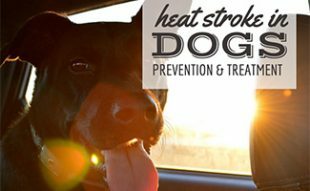 Your pet needs to be protected all year long. My dog was on a medication called Trifexis that cost around $20 a month, or $240 a year. For some families, this may be too expensive. That doesn't mean you should look for cheap alternatives on eBay or with any other untrusted source. Fake pet meds can seriously put your pet in danger. In fact, it may kill your pet. Instead of trying to save money with untrusted sellers, seek out help from your vet. Many vets will actually match the price of online websites. People also often donate medication when their own pet passes away and vets give this medication to those that are in need. If you care about your pet at all, you will find a way to get them legitimate medicine. Remember, owning a pet is a big responsibility and one thing you must do is spend money to keep your dog healthy. If you can't do this, you need to find someone who can. After reading this article, I think I would seriously have to think twice and get some good advice about where to get pet medication on the internet before I went out and got some to give to my dog. It just seems like there is a lot that can go wrong and no good way to really keep track of where this stuff is coming from. The internet is kind of like the wild west to me still. The laws general proprietors have had to adhere to in this country do not apply to businesses overseas and there is so little that we can do to regulate commerce on the web that it leaves doors wide open for consumers to be taken advantage of. In this case, a consumer that gets taken advantage of could also be delivering bad medication to their family pet and that could cost lives. I understand that everybody is trying to cut costs where they can these days, but I love my dog too much to try to skimp on things he needs to live a happy and healthy life. I agree with this article quite a bit. I think people must be out of their mind to go to their veterinarian for their pets’ medications when they can purchase them cheaper on-line. Think about it this way: going to the vet costs quite a bit of money, but if you can eliminate going to see the veterinarian, you can spend a whole lot less on your pets’ medications. I do not recommend purchasing pets’ medications overseas because most of those have not been tested by the FDA (Food and Drug Administration). I think at some point you have to face it, your pets’ medications are never going to be cheap if you get them the traditional way. Save yourself quite a bit of money and look for alternative ways to purchase your pets’ medications. All of us would like to save money any way we can, so doesn’t buying your pets’ medications on-line sound like an excellent idea? It’s always best to make sure that you are purchasing them in the United States, from reputable online dealers. This is the cheap and safe way to buy them. I have a dog who is getting up there in years and our visits to the vet have seemed to be getting more and more frequent as of late. We are also buying more medication for the dog than ever before and the costs seem to be steadily rising with each and every visit. For that reason we have started looking to alternative resources to find our medication provider. Of course, looking on the internet has provided a great deal of results, but after reading this article I am very hesitant to trust the first seller I see. I think what I will do is ask my vet about what he knows about purchasing medication on line. I know that is kind of a conflict of interest for him, but we do have good relationship as I have been taking my pets to see him for many years now. I think without his blessing I may not try it at all because of the dangers you have listed in this article. I guess I’ll see what happens. People are always looking for ways to save money and in this rough economy, people are having to dig even deeper to find ways to save. However, you should never risk buying unsafe pet meds in order to save money. While there are ways to save money on pet meds, not all businesses are legit. In fact, some businesses may sell you fake medicine that could harm your dog. I find that the best way to save money is to speak with your vet. Many veterinarians are willing to match prices that you find online, which means that you can get the same savings without having to worry about whether or not the medicine you purchase is safe. If your vet is unwilling to work with you on price, you may want to consider whether or not your vet has your pet's best interests in mind. As sad as it is, some vets are only in the business for the money and don't care about your pet's safety. Just remember to explore all your options. After all, you wouldn't risk your child's life with cheap meds, so why would you risk your pet's life? Take the time to seek out programs and other methods that can help you save money on legitimate meds. I have been seeing a lot of advertising about getting pet medications online. Although I can see how something like this would be very convenient, at the same time I was a little skeptical. I wasn't quite sure how to go about finding a good company or which companies had the best reputations. I know that online, it can be hard to even determine whether you are getting the real stuff, or whether you are getting knock off generics shipped to you from a foreign country, but your review helped me to see what I should be looking for in a company. I think I feel confident enough now to go out and purchase some pet medications online. I think without guidance, you can unwittingly purchase medications from overseas, and you have to be super careful not to do this. It can be so dangerous for your dog to consume something that could potentially be poisonous. 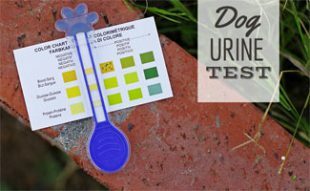 At best it might be watered down and ineffective which could be just as dangerous for your little pup. I find myself always reading what I can online about my dog. I think it's great when I can find information like this that I can use right away. I understand that people buy medication online because it's easier than leaving the house to get medication and sometimes it's even cheaper then buying medication through the traditional methods. The problem is they have to be really careful about doing this. You want to save money, but you obviously want to take care of your pet or you wouldn't be buying medication for it in the first place. So you just have to use some common sense. I don't know why anyone would buy any kind of medication overseas. Companies that are located overseas not bound by any kind of laws that regulate the medications in the United States. That's pretty important factor. When I think about the dangers that you can expose your pet to by buying medications overseas, it really scares me. I am afraid that people will start doing this without thinking about it, just to save some money. Thank you for writing this article. I like the fact the you warned people about the various dangers of buying cheap pet medications, the also provided them a valid option to buy their pet medications from. I think if a pet owner is searching exclusively for cheap pet meds, then they have to ask themselves a question. On one hand, it is important to save money, but if for some reason they can't find the medication that they need at a cheaper rate, are they still going to get it? I think that cheap pet meds are great ONLY if you get them from a reputable source. If they are not in stock there, pay full price and then let the reliable company know that you would like them to carry that medication. I'm sure they will oblige. Our pets truly bring us so much joy. I think they deserve the best. I was stunned when I read about people going overseas to get cheap medication. When I first heard about people doing this for plastic surgery and for drugs, I thought it was crazy and then when I heard of people doing this for their animals, I thought it was just cruel. It's one thing to consent to risk your life, but to do that to your innocent pet for no legitimate health reason, is awful. Everyone is looking to save money these days. This also includes pet owners. It seems that with the cost of vaccinations, trips to the vet and even medications, the little guy is more of an expensive proposition than you had first realized. This can lead many pet owners to start thinking about looking online to find cheap pet medications. There are several problems with this idea, however. The main issue is that when doing this, you must wonder about where you are actually buying the medicine from. After all, this is such a highly regulated industry that the suppliers would almost have to be foreign companies. Foreign medicine suppliers do not have to meet the same standards as U.S. suppliers. This means that you have no real way of knowing whether or not the medicine you are about to buy is actually pet medicine or rat poison. While this may sound a bit extreme, the point is still valid. Certainly you want to save a few bucks, but not at the expense of putting something into your pet that may actually hurt them! Just as with people, the cost of medical treatment and medicine for our pets continues to increase. It seems like each year it becomes more and more expensive to take care of best friends. However, using a quality pet health insurance plan can help combat these rising costs. The right plan can not only save you money on treatment, but also medications and sometimes even other pet related issues. How does pet insurance work? You will take your pet to the vet and receive treatment. In many cases this will also include specialists and even emergency clinics. Pay for the treatment at the time of service (or work out some other arrangement with the doctor or clinic). After the treatment, you will simply complete a basic claim form. This is much less complicated than an insurance claim form that you might be used to for yourself! Usually these claim forms will be very straightforward and only one page. Take this form and either mail or fax it in to the insurance company. Supply copies of your receipts and you are done. The specific policy will determine how much you will be reimbursed. There are many policies which reimburse between 70 and 90 percent, depending on the specifics. Some policies will have annual deductibles per pet that must be met before you receive any reimbursement. For example, an policy that has a 200 dollar annual deductible means that you will pay the first 200 dollars of any treatment your pet receives. After this, you will be reimbursed at whatever given percentage is stated in the policy. While pet insurance costs will vary according to plans, type of pet and a variety of other factors, you should reasonably expect to pay between 20 and 50 dollars per month. Be sure to really read the fine print and make sure you understand all of the specifics and requirements of your plan. There can be deductibles of varying amounts, and even limits on how much treatment your pet is to receive for each particular illness, condition or visit. However, if you can find a good policy, with a high reimbursement percentage, then this is a great way to save money on all of your pet treatments and medications (find a plan which specifically covers the medications, as well). One of the most common myths about pet insurance is that you will be limited to only certain vets and clinics. Generally this is not true. You will be able to take your pet to any licensed vet within the US or Canada. Another myth is that older pets are not eligible for coverage. This is also not true. Any pet over 8 to 10 weeks old is usually eligible for coverage. There may be some extra conditions and restrictions, but you will certainly be able to find coverage for an older animal. In fact, there are policies specifically designed for older pets. Another persistent myth is that pet insurance plans charge per incident deductibles. Again, this is simply not true. There will usually be an annual deductible that must first be met before coverage kicks in. Sometimes there will also be an annual benefit limit, generally somewhere between 5 and 15 thousand dollars per policy. A final myth is that it is difficult to apply for or obtain pet health insurance. Actually it is easier now than it has ever been. There are more pet health insurance providers now than at any time in the past and they are eager to sign up new customers. Quite frankly, I don't have much desire to travel outside of the United States. I know it sounds harsh, but I hear so many crazy stories about people that travel, like how they cannot eat without getting stomach infections and stuff, or how they get robbed or kidnapped for ransom. I know that these cases are probably a minority, but it bothers me that if you buy liquids and other products in other countries, you cannot bring them into the USA through customs because of cross-contamination. So if this is the case, then it stands to reason that shipping in food or medication your pet is a bad idea, and that your products are likely to have some cross-contamination. I think vet approval is key when it comes to pet medication, and there is at least one reputable company that will ship medications to you, yet they are still safe and vet approved. So why risk it? It grosses me out that people are willing to do so many things just to sell cheap pet meds: sell recalls, sell expired meds, sell diluted products, sell counterfeits? People can be horrible. How sad for you to be afraid of the rest of the world. This line caught my attention: ‘I know that these cases are probably a minority, but it bothers me that if you buy liquids and other products in other countries, you cannot bring them into the USA through customs because of cross-contamination.’ Obviously since you don’t travel you are unaware that you cannot take liquids from the U.S. into other countries for the same reason. There are many countries are far more advanced than the U.S in different ways, obviously some of the poorer nations are not. You could definitely buy meds from Europe without any fear of receiving a bad product. The EU and Great Briton have very high standards. You will certainly get better food in these countries than you do here, one reason their populations are far healthier. Try Googling U.S rankings against other advanced nations. You will be surprised. One of the first things you must realize about pet ownership is that it is expensive to properly take care of your pet. If you don't have the money to spend on flea, worm, and tick medication, you don't need a dog because this is just one of the expenses you'll face. If you're in a difficult spot, such as being laid off, that doesn't mean you need to get rid of your dog. There are a number of programs meant to help those in need. These programs are in place to help prevent overflow in animal shelters and help save more pets lives. The most important thing to remember though is that cheap medication from questionable sources should never be purchased, even as a last resort. When worse comes to worse, you can always purchase the medication your pets need on a monthly basis. In most cases, you will pay more per dose, but it's still less expensive than purchasing six months at once. You also have the option to use natural methods for flea protection, which can greatly reduce the cost of your dog's monthly medication, but you must speak with your vet about which options would be best. You know, as a pet owner, I find it baffling that anyone would actually purchase their pet's medication from someplace overseas. I find it strange that some people are even willing to risk their own health in this way. Though, I'm sure there are some reputable doctors in other countries, many of these countries do not have the same regulations as the USA does. How can you guarantee your health or your pet's health if you do not know who is making your product? How can you put it in the body of one of the creatures you love the most on this earth? In other countries, some of them have no love or respect for dogs and other pets, how can you trust them to create safe pet medications for you? Sometimes I think saving money gets in the way of logical thinking. I'm shocked you even had to include this section in your article. You probably even saved some poor little puppy's life with it. I guess owners can be misinformed, or not know how to spot a dangerous medication source, so you cannot assume they don't care. Having a dog these days can be an expensive proposition. There is the cost of buying food, vaccinations and other vet bills and even pet medications. Many owners have been tempted to find one of those sites on the internet and buy cheap meds for their pet in order to save a few dollars. While there is certainly nothing wrong with trying to save a dollar or two, always be aware that your pet’s health is at stake here. Would you even consider buying a medication you needed from an unregulated pharmacy in Mexico or China? Yet, this is exactly what you may be doing when looking at some of these internet sites. Many places that advertise cheap pet meds are based outside the US. The simple reason why is that they are not subject to the strict US Government regulations for pet medications. In other words, you would probably be buying from an overseas source that has absolutely no reason to sell you legitimate and quality pet medicines. Do you really want to experiment with cheap overseas medicines on your best friend? I think you need to put as much effort into taking care of your pets as you do the rest of the family. When you get a pet, they rely on you 100% for their care. That means you have to take it seriously and always consider their health just like you would consider the health of a small child. You are making the decisions for them. They really don't have any option but to rely on you. With that being said, why would you buy your pet medicines any differently than you would buy meds for your children? Sure, you are going to look for good deals, but you would never buy meds from a resource you could not trust. When you buy meds online and your vet has never heard of the place or you don't get their name from a reputable site like this one, it's like buying your child's medication from a random stranger. You might save some cash, but in the end it could cost you far more than anything you can get out of your wallet. Personally, I don't give my dog anything until I talk to a vet or another trusted resource. While everyone likes to save money, there are certain things that are more important. Health is one of those areas. As a responsible pet owner you love your little ones and will do everything you can to make sure they well cared for, happy and healthy. There is also no doubt that pet medicines can be expensive. Certainly today there is no shortage of online sites which offer cheap pet meds. The problem with this is that there can be a lot of issues when attempting to purchase quality pet medications at a discount. The first issue to avoid is not purchasing any pet medications from overseas. They will not have any type of FDA approval. You may also find that many of these medicines have a low price tag for a good reason. This often includes being a low quality product. Without any kind of government approval or standards, how could you be sure? Even if there is a process, would you really feel safe buying a pet medication that was certified safe from the government of China? I would strongly suggest only using items with an FDA approval. Thank you for the great resource for ordering pet medicines online. It really is scary to order them online if you don't know what you're doing. I know I probably would not know the difference between expired meds, bad meds, or good meds and I don not expect that most people would know any more about it than I would. Something else that people might want to consider when they are choosing a place to buy pet meds online is the motivation to get the customer to return to the site. There are pet med dealers out there that will purposely sell you medication that may not work or may even make things worse. You are not likely to know the cause of the illness, so where are you going to go? You are probably going to contact the place you ordered the medicine from and they are probably going to tell you that you need to order additional medication. I trust the information on this site and if I order medication for my dog, it will be using the resource here. Why? Because I have used other information found here and learned that I could trust what I read here. 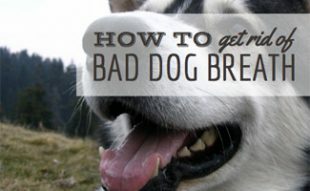 I found this article to be pretty enlightening in terms of what kind of problems you can run into when trying to buy pet medication online. I have two dogs and one of them is getting a bit up there in years. Since he turned nine years old, we have had to make more frequent visits to the vet and with each visit it seems like a new medication is prescribed for my faithful companion. I dutifully buy whatever he needs through the vet but I have started to look at other providers for perhaps a more inexpensive alternative to buying it straight through the vet. However, I had not considered the dangers in buying from providers overseas and from sources I do not recognize completely. Getting medicine from a country that does not regulate the manufacturing of these chemicals closely is certainly not something I would do for myself and I will not do for my family pets. I am all about saving money, but I will not do so at the expense of the safety of my dogs. 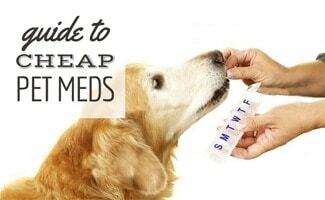 Make no mistake about it, pet medications can be expensive. This is especially true if your little one has some type of medical condition that makes taking medications a necessity. Fortunately there are a number of options for finding cheap pet medicine, especially online. Yet there are a number of things to watch out for. First of all, it is probably best to avoid using pet medications form overseas. It is just too difficult to figure out if there has been any kind of regulations for safety or even health standards applied. There may be low quality products produced, or even generic medicines being sold as the real thing. Take a good look at any website that you are thinking of using to buy pet medications. If they are still carrying products that have been recalled that is obviously a bad sign. Such disreputable sellers have also been known to dilute medicines and even create and sell counterfeit medications. These are certainly not the types of medicines and other products that you would want to give your favorite four legged friend.